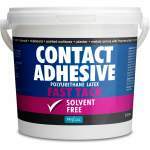 A solvent free contact adhesive, makes high strength water resistant permanent bonds. 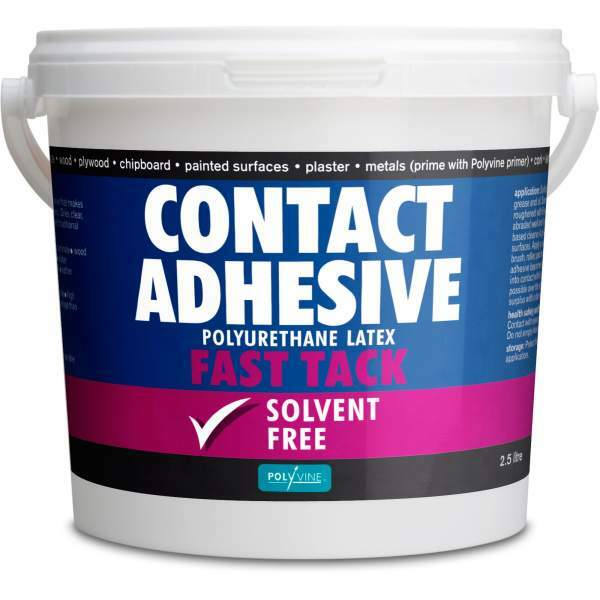 A solvent free contact adhesive, makes high strength water resistant permanent bonds. Dries clear with no fire or fume risks. Suitable for textiles, rubber, plastic, laminate, wood, plywood, chipboard, plaster, cork, leather, and canvas.